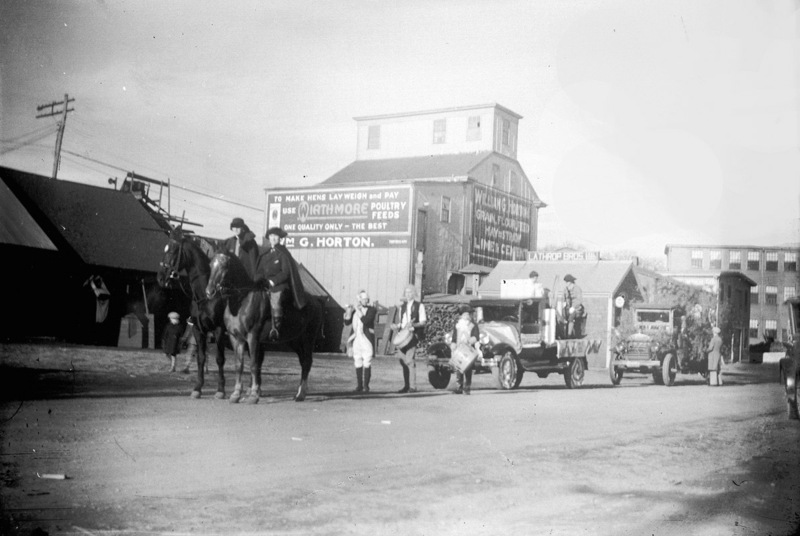 In this early 20th Century photo of a parade passing through Brown Square, the Burke Heel Shoe Factory is in the background, right, with Canney Lumber in front of it. The grain mill is still in use as lumber storage at Tedford’s Lumber. 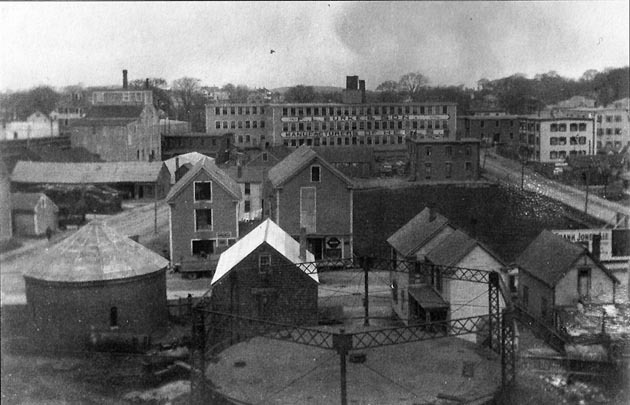 The Burke Heel Factory is in the distance on Brown Square, seen from a Market Street Roof Top. In the foreground is the old Brown Coal Gas facility. 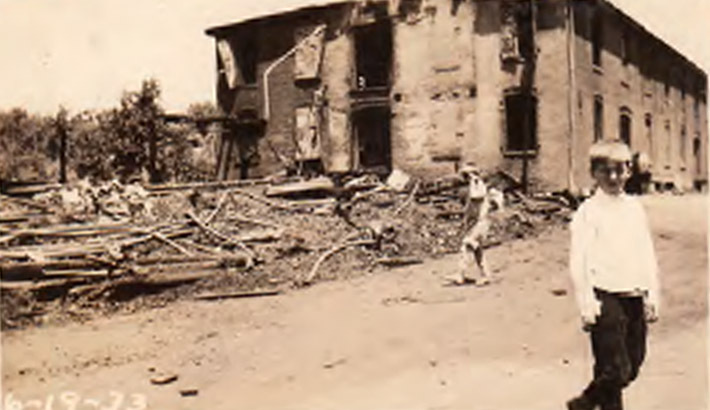 In the background on Washington Street is the Dustbane Manufacturing Company. The former grain elevator at Tedfords is in front of it. 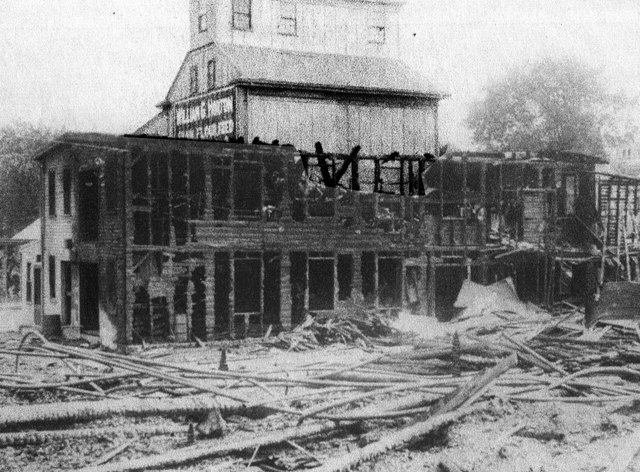 The Canney Lumber company next to Burke Heel Factory was completely destroyed. 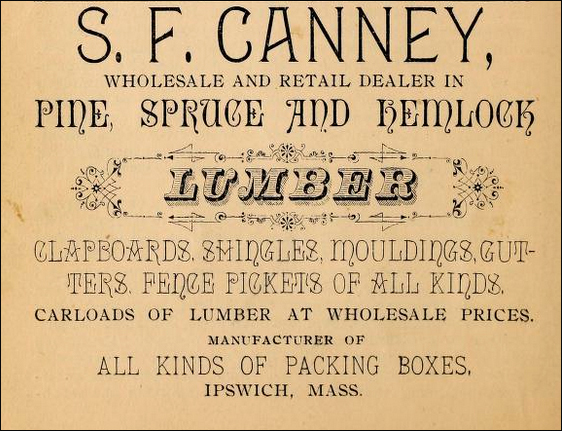 The Canney Lumber Company originally was located at the County Street bridge and manufactured wooden boxes. They operated a sawmill at the Brown Square location. You can see the old grain elevator now standing at Tedford’s, which bought the property after the fire. The grain elevator had originally been on the river close to the wharf, but was moved to this location.